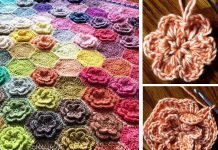 Bear’s Rainbow Blanket Crochet Free Pattern is great project to make a beautiful and comfortable blanket. You can easily adjust the size of blanket by choosing more or less squares. Each square measures 4 1/2 x 4 1/2 inches. 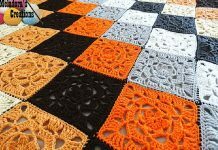 You can crochet these little squares when you are free, and finally join these squares to be a blanket. 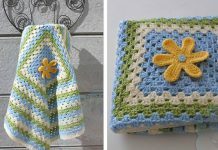 The blanket will be a very useful gift for baby shower or other celebration. 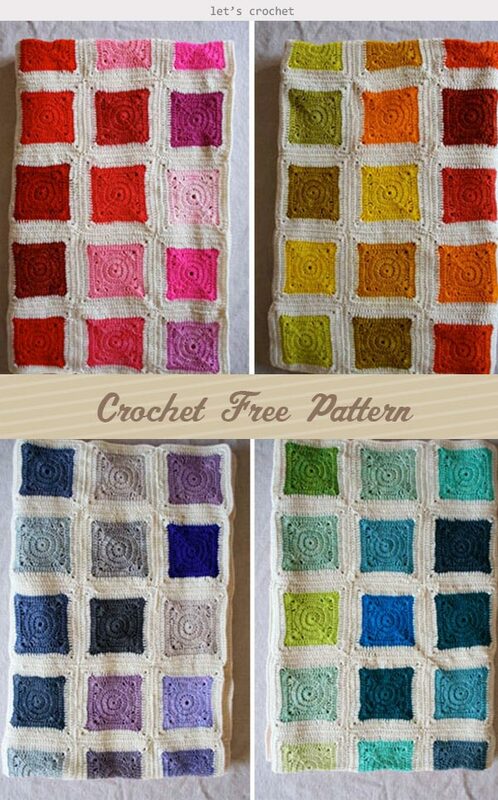 Thanks Purl Soho for sharing this free crocheting pattern. The link for the free pattern is provided below photo. Happy crocheting.